Sweden announces that she will not permit British or French troops to cross through her territory on their way to Finland. The Soviet Union announces its final conditions for peace. Finland must hand over the Karelia Isthmus and the shores of Lake Ladoga. It must also grant a 30 year lease on the HangÃ¶ Peninsula and sign a mutual assistance treaty, guaranteeing the security of the Gulf of Finland against external threats. In return for all this, the Russians will withdraw from the Petsamo area. Crews of Exeter and Ajax cheered through London after return from South America. Alexandros Korizis, the Greek premier formally accepts Britain’s offer of troops to help defend against the Italians. Stuka’s sink a British Destroyer and the Monitor Terror off the North African coast, near Tobruk. Free French forces land in Eritrea. Dr. Glenn Seaborg & Dr. Arthur Wahl chemically identify new element of plutonium at University of California, Berkeley; discovery kept secret until after the war. US Fifth Air Force B-17s, based in Townsville, Australia make first attack on Rabaul; 1 crash-lands inNew Guinea swamp—Swamp Ghost now in Pacific Aviation Museum at Pearl Harbor. Japanese sub I-17 fires at Bankline Oil Refinery at Ellwood near Santa Barbara CA; little damage; first attack on US mainland in war. 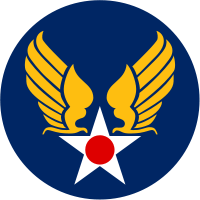 US Army Air Forces approve “winged star” emblem in shape of a V for victory. The British submarine HMS Trident, torpedo’s the cruiser Prinz Eugen which is sailing to Norway from Kiel, forcing its return to Germany for substantial repairs. While the 17th Indian Division is withdrawing across the river Sittang, the Japanese launch an attack to capture the Bridge. Lieutenant General Smyth, orders the bridge to be blown, even though more than half his division has still to cross. The remnants of the 17th Indian Division, withdraw to Pegu, where they are joined by the 7th Armoured Brigade, which had recently arrived from the Middle East. For prematurely blowing up the bridge on the river Sittang, Lieutenant General Smyth is removed from command of the 17th Indian Division by General Wavell. Wavells ABDA HQ leaves Java for Australia, where upon its arrival it is disbanded. Against the wishes of Churchill, the Australian Prime Minister, Curtin orders all Australian Divisions to return home. U.S. carrier-based planes attack the Mariana Islands. Only 1,300 miles from Tokyo. General Lucas is sacked from the Anzio command and is replaced by Major General Truscott. German counter-attacks drives the Anzio beachhead back further. Merrill’s ‘Marauders’ (US 5307th Composite Unit) begins Stilwell’s Sino-American advance into northern Burma. The US Ninth Army begins an offensive from its bridgeheads on the Roer river leading to the bloody battle of the Hurtgen Forest. The Russians capture the fortress of Posen after a month-long siege. US paratroops spring 2,146 detainees from a Japanese camp South of Manila in surprise attack, during which 243 Japanese are killed for loss of just two U.S. killed and two injured. U.S. Marines storm Mt. Suribachi on Iwo Jima and raise the U.S. flag.